This post is a part of a series focused in building SharePoint extensions using NodeJS, the aim of this series is to provide a guide on how to build cross platform SharePoint solutions. In case of Office Add-ins office generator makes it very easy for us to build cross platform Office Add-ins. However, to extend SharePoint contextual add-ins we were always stuck with Visual studio or using Napa and build SharePoint hosted apps. In this post I will explain how to build and deploy a NodeJS Provider-hosted app with Custom Action that updates the Item Title. 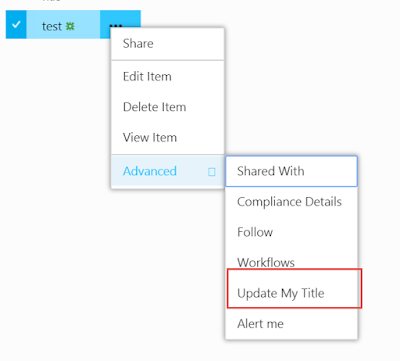 For simplicity I will focus on apps with apponly mode switched on, to get a new app principle simply navigate to https://yourtenantname.sharepoint.com/_layouts/AppRegNew and generate new App Id and secret. In my case I will deploy the custom action to a new azure website called "o365-customaction" so I've added o365-customaction.azurewebsites.net as my "app domain"
When using Visual Studio template this will be created for us automatically when we choose to build a provider-hosted app or once we enable or add any remote event receiver, in this case let's use yo express to scaffold a basic nodejs web app for us. At this moment we have a NodeJS web application running in azure, within the context of this web app user have full control of your SharePoint Online tenant. The missing piece is to create the custom action. 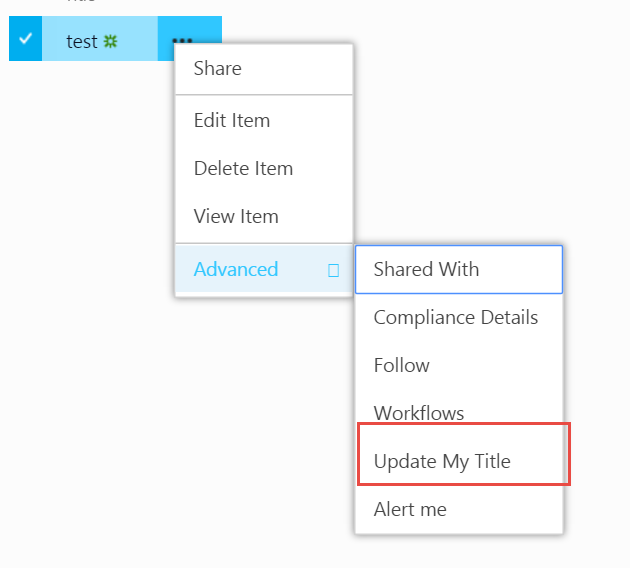 One quick solution is to use powershell to create the custom action however, this will defy the purpose of this post which is making SharePoint development cross-platform. 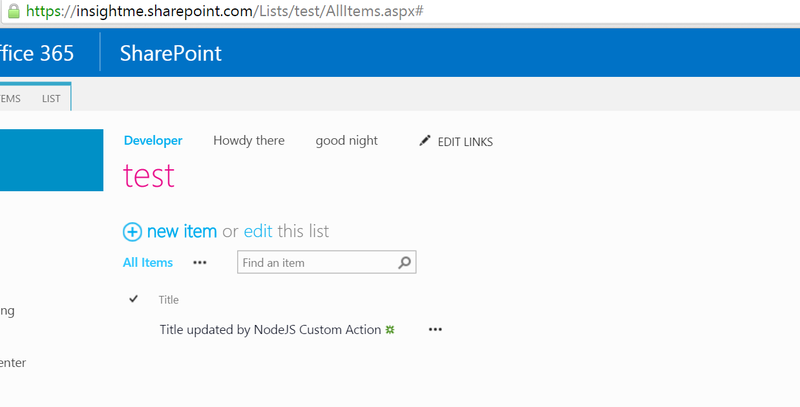 Anything is possible, you can easily build a complete set of cross-platform CLI tools to talk to SharePoint RESTful APIs and build the app web using any technology stack you desire.